More Americans are buying boats than ever before. According to Jim Gold of Money Talks News, recreational boat ownership has been surging since the end of the Great Recession. The best part? You don’t exactly have to be wealthy to own a boat. The National Marine Manufacturers Association says that a whopping 72 percent of American boat owners have household incomes of less than $100,000 each. 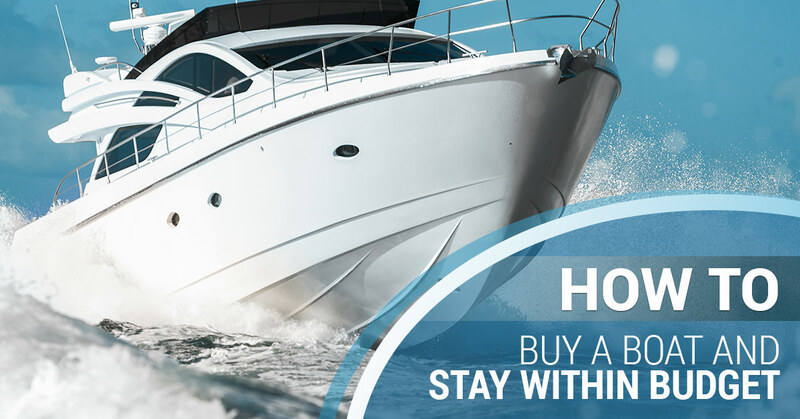 Now, the tricky part here is choosing a boat that you can not only afford to buy but also afford to maintain. Keep reading for five questions to ask yourself before going boat shopping. “What will I use it for?” – The majority of boat owners are avid fishermen. That said, you may also consider buying a boat if you love tubing, water skiing, cruising, and sailing. If you aren’t passionate about any of these activities, then going through with the purchase probably wouldn’t make much sense. “Do I have enough free time to enjoy my boat?” – This is an issue with many boat owners. They assume they’ll take their boat out every weekend with friends and family. But then life happens. For example, maybe they’re forced to work part of the weekend or just have other family commitments that prevent them from boating. Be honest with yourself. Are you too busy to use your boat on a regular basis? If so, then it might be smart to rent instead. “Do I have a place to store it?” – Some people decide to transport their boats on trailers and explore a bunch of different waterways. Others, meanwhile, dock at home port marinas. Be aware that the bigger the boat, the larger and stronger the trailer and truck you’ll need to pull it. It’s also possible that you will need permits or professionals to move your boat. Are you not going to use your boat for an extended period of time? Then be sure to account for the cost of storage options. “Should I buy new or used?” – Pre-owned boats are much less expensive than new boats because they’ve already depreciated. It’s important to know that depreciation on a used boat kept in good condition should level out with ongoing maintenance and equipment improvements. If you’re pinching pennies and choose to go the pre-owned route, remember to have the boat checked out by a professional. “Should I invest in boat decking?” – The short answer is yes. It doesn’t make sense to go all-in on a boat but then settle for flooring that’s slippery, unsafe, and unattractive. At Marine Customs in South Florida, we are proud to provide customers with comfortable, durable EVA foam. Our non-skid decking is made from the highest quality products and features maximum wet/dry traction. Looking to customize your non slip decking? Marine Decking has you covered (literally). The right marine decking can help your boat look incredible and last longer. See what the pros at Marine Customs can do for you. Contact us today to ask about our anti-slip decking.